Whether you believe in Santa or not there are some cool little presents of wisdom in that bag of his. In the good for goodness sake category, is the time honored principle that good things come to those who treat others well. Maybe it isn't Santa, but there are many in your path who know if you've been bad or good. 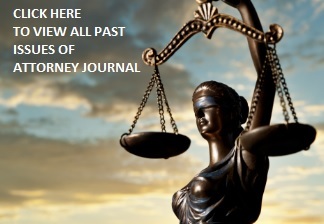 With the constant movement in the market, attorneys who are only nice to the people they think matter, may find they have a poor reputation "out there," when the person or persons at the other end of slights, abuse, insults or indifference are suddenly in a position to comment on, or even decide upon the lawyer's value. Lawyers, as smart as they are, are sometimes prone to miscalculations for courtesy: when it is due, and to whom. In the social contract between skilled and privileged professionals and others, might I suggest a new kind of clause...the courtesy clause. Perhaps it reads something like this: The parties hereby agree to treat all persons with respect and dignity, realizing that the long term value of each's contribution may not be readily apparent in the present moment. For some in the legal profession, the last three to five years have been like waking up and realizing there isn't a Santa after all. Goodies are harder to get, the pie is smaller and competition is fierce. Clients want to get as much of your intellect, time and talents as possible for the least amount of cost to them, as their pressures are mounting too. It does not feel like a time to give the love. If ever there was a time to want to Scrooge someone this would be it. But in fact, this is a time that requires the most courtesy of all. If not for goodness sake, for the sake of growing and maintaining business. Your ability to be kind, understanding, and humble, to everyone, is a differentiator like you would not believe. Knowing your area of law, the client's business and preferences are critical. But the way the world is networked, every interaction, no matter where you are matters. He or she literally almost does see you when you are sleeping. Now more than ever, dynamics are changing in the business of law. The paralegal you once worked with may now be the procurement officer for legal services at your largest client, having first-pass review of your latest RFP. The guy in office services who was just part of the scenery for years, and who seemed to always be late with the coffee has just joined one of the most dynamic start-ups in your city and you now want his business. "Remember me, I am so and so, Esq.." Oh yes, I remember. I have been in and out of law firms three times in my career, each time to help start a company and later sell it. I have forged relationships with lawyers who earned my respect and gave me theirs and who to this day, I try to help or get business or at a minimum sing their praises. Like most "non lawyers," working around the business of law, I have seen my share of miscalculations when it comes to the courtesy clause. There are some lawyers who can never get past the thinking that they are too good or too special for certain acts of courtesy, particularly if they can't at the moment understand why the person is "worth," such courtesy. The way to break yourself of this habit is to think about your client. No matter how you are feeling or the pressures you are under in the moment, you generally can muster the energy to be more than kind, responsive and compassionate to your client. Now, remember two concepts that we have learned from Facebook or LinkedIn. Almost everyone, if not everyone, you interact with has the capacity to know or be connected to one of your existing or prospective clients , or is themselves a future prospective client themselves, even if you don't see it. It doesn't make sense to take the risk of not being nice. In the days when Santa's bag was packed, some lawyers had convinced the market that they were so shrewd and so sophisticated that they were worth their high price and their high maintenance. They had convinced their partners that their year - end haul was worth a little screaming and pouting now and then. Nowadays, some sleighs don't have the luxury of carrying such baggage. Clients are seeing greater need for flexibility, and seeing as fungible that which some providers used to think was theirs and theirs alone to give. Some of those cookies for Santa were made with cookie cutters and the client knows it. For the best business development ever in 2012, certainly add all the widgets to your website you can, spiff up your elevator speech and ask for new cufflinks or reptile leather shoes . But if you want to really wow em. Give freely the gift of consistent kindness.